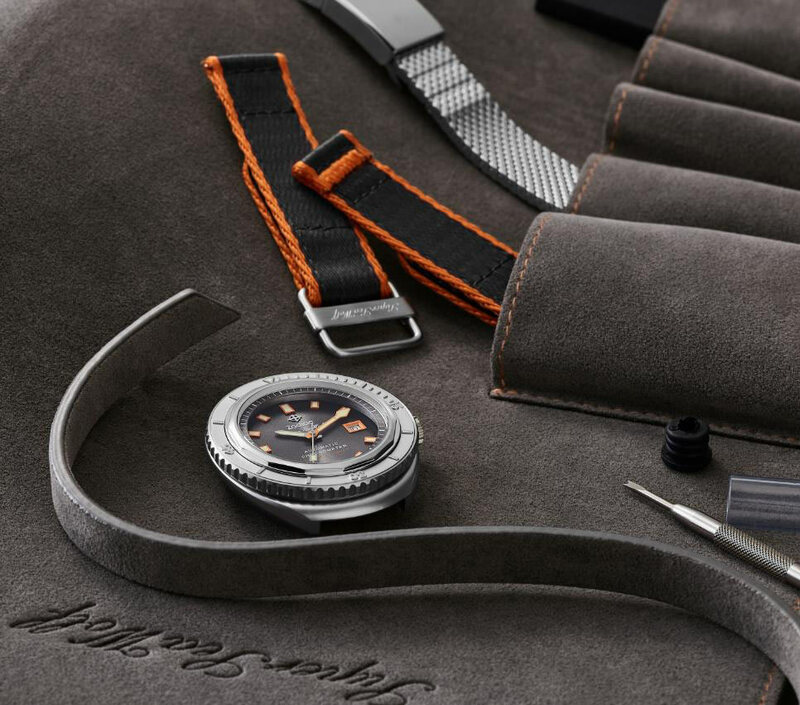 Zodiac celebrates the 50th anniversary of the original Super Sea Wolf diver’s watch with a special limited edition of 182 pieces. 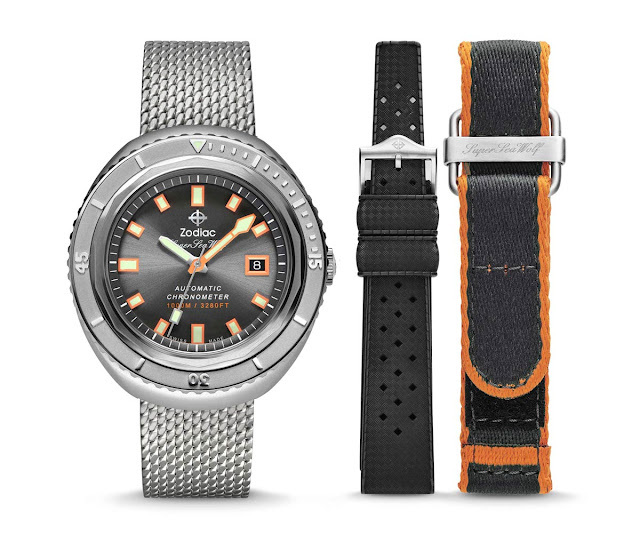 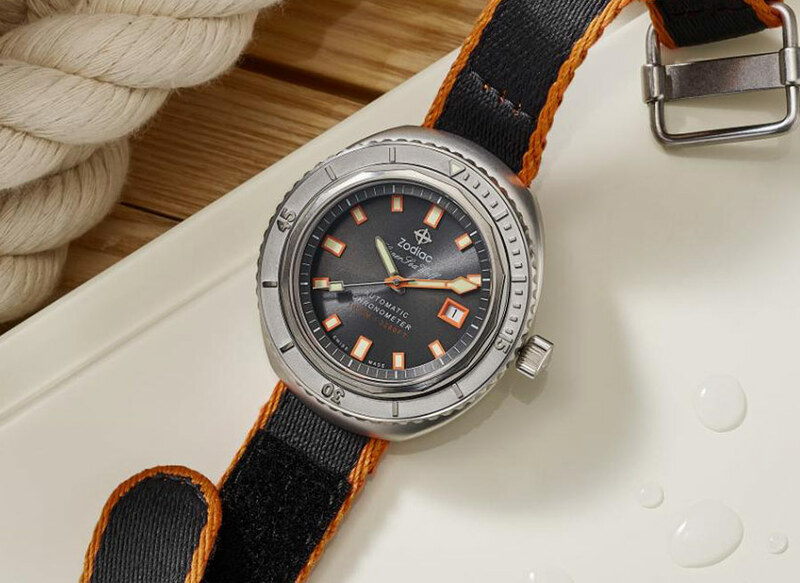 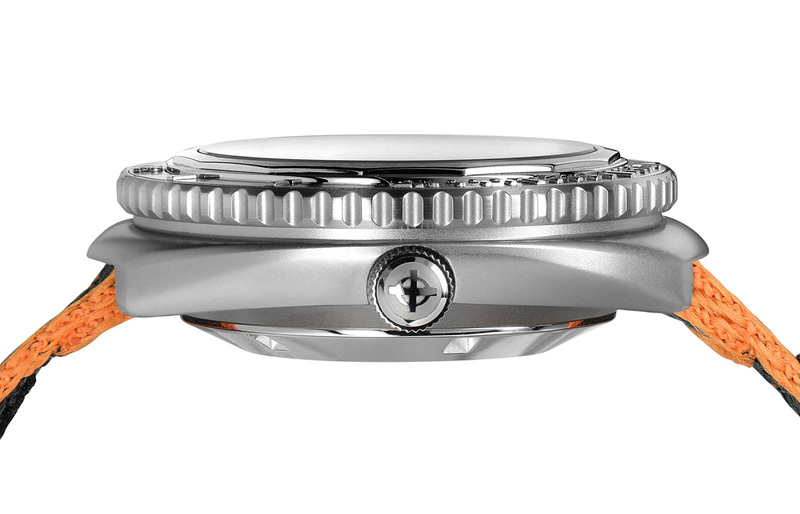 The Super Sea Wolf 68 Limited Edition 50th Anniversary comes in a 44 mm x 49 mm stainless steel case guaranteeing water resistance to 1,000 metres / 3,280 feet. Framed by a newly designed locking topring, the anthracite dial offers excellent legibility with large applied hour markers and typical hands, all richly treated with luminescent material. The minute hand is orange-coloured, a feature that gives a nice touch to the dial. 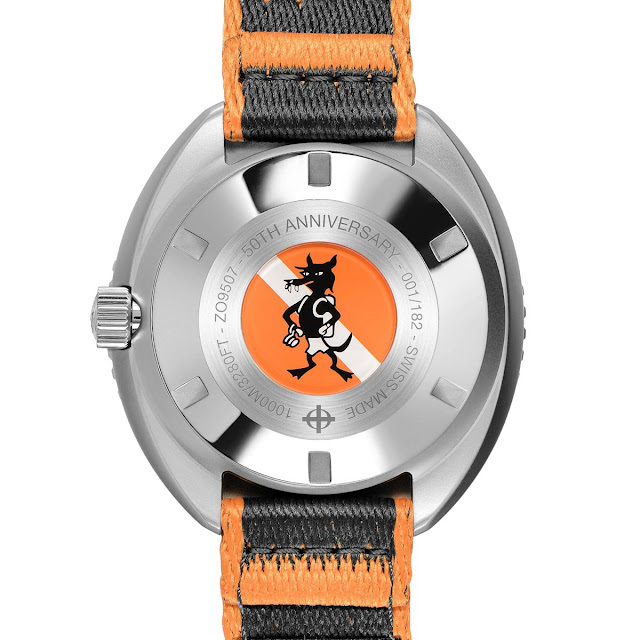 The caseback displays the iconic Sea wolf character that was once used on advertising material during the original launch. 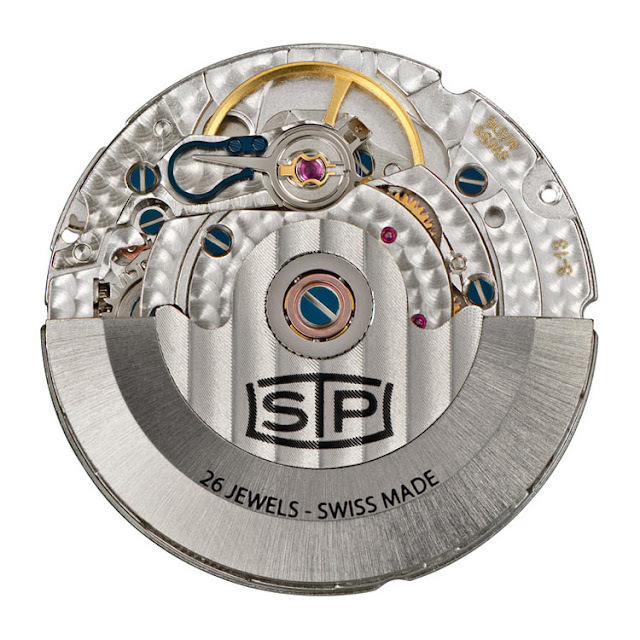 The movement of choice is the COSC-certified STP (Swiss Technology Production) 3-13 movement which beats at a frequency of 4 Hz (28,800 vph). Offering a power reserve of 44 hours, this self-winding movement features a swan neck system and a stop second device. 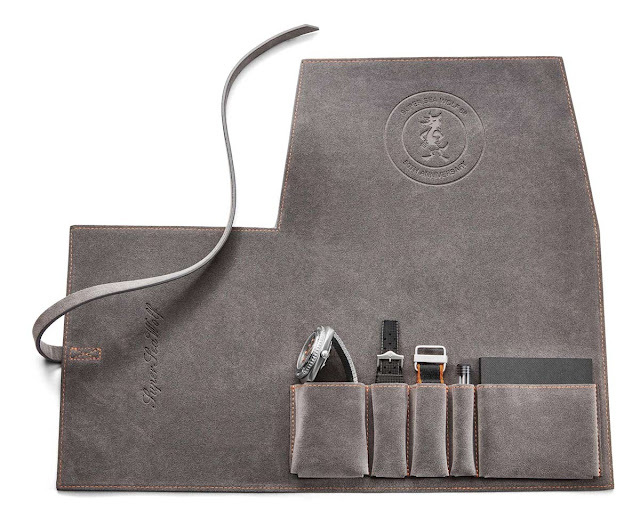 From Zodiac a new limited edition ref. 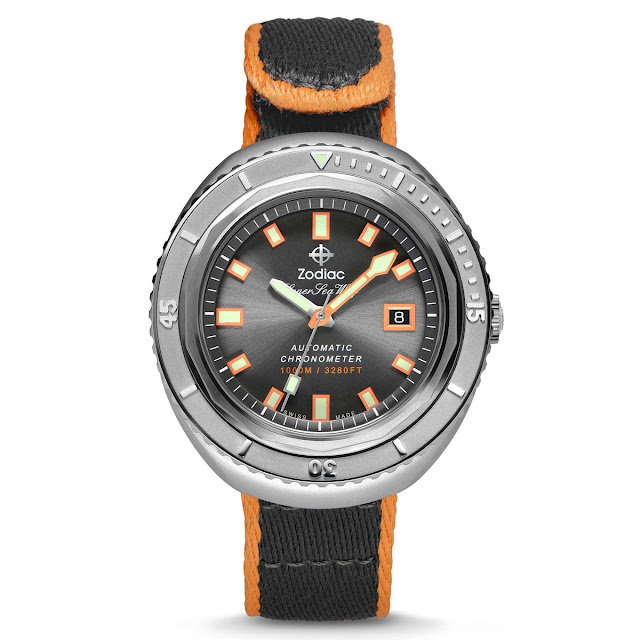 ZO9507) of the Super Sea Wolf 68 to celebrate the 50th anniversary of the famous diver's watch model. Full specs and price.